Is Gluten-Free Eating a Good Way to Lose Weight? A gluten-free diet is recommended for individuals with coeliac disease, but there is growing interest in the diet from non-coeliacs, due to its perceived weight loss and health benefits. Some of the purported benefits include faster weight loss, improved sleep, increased energy, clearer skin, and symptom improvement in conditions such as autism and rheumatoid arthritis. Weight loss is one of the most commonly touted benefits. But can going gluten free really help you shed pounds fast? First, what is a gluten-free diet? Well, it’s essentially just eating foods that are free of gluten, a protein contained in a number of grains. As mentioned previously, this is usually recommended for people with coeliac disease. Individuals with coeliac disease have an undesirable immune response to gluten molecules in the food they eat. This results in damage to the cells in the gut, and in turn can result in poor absorption of nutrients. In some cases, this may lead to weight loss, due to reduced nutrients and energy (calories) acquired from food. Now, when a person who has coeliac disease removes gluten from his or her diet, the body may start to heal and slowly begin to absorb more nutrients and energy from food. When this happens, weight gain may occur. This is exacerbated by the fact that these individuals are used to consuming larger portions of food to compensate for a lack of nutrient absorption. Weight Loss or Weight Gain? Research has been conducted on people who followed a gluten-free diet, and the results revealed… that they gained weight! This raises questions as to whether the gluten-free diet actually helps in weight loss, as is commonly claimed. Because gluten is important for maintaining the desirable texture of many foods, it is often replaced with sugar, fats, or other additives. Meaning that many processed foods that are free from gluten are high in sugar as well as fat and salt! This can lead to increased calorie intakes, and therefore weight gain. It is often said that gluten-free foods have a “health halo” around them, meaning they are perceived to be healthy. This may mean that somebody eats these gluten-free foods that are packed with sugars and fats without question! However, preparing gluten-free meals at home from grains and legumes that don’t contain gluten may be able to counteract this problem. So, what’s allowed and what’s not? Bear in mind that these lists only cover a portion of the foods that are available. Due to the popularity of the gluten-free diet, many people may be interested in giving it a try, for various reasons. As you’ve already seen, just because a food is gluten free, doesn’t mean it’s automatically a healthy option! The “health halo” around gluten-free products often means that people make easily rectifiable mistakes when they shop for gluten-free produce at the store. • Falling for the “health halo” - sure, it’s easy to acquire gluten-free foods from the store, but there’s a lot more to it than that. Just because a food is labelled as gluten free, doesn’t mean it’s healthy. Just like all the diets, it has to be well-balanced for it to work. • Not fully understanding food labels – always make sure to look out for allergen information on labels. Grains containing gluten are often highlighted in bold (at least in the UK) and most other countries mark these in some way, in order to avoid a reaction from those with coeliac disease. • Resorting to convenience foods - when it comes to a gluten-free diet, you may find yourself a bit more restricted in the kitchen. But don’t give up on making home-cooked food! It’s so easy to resort to food deliveries and ready-made meals and this is one of the most common pitfalls most people face. Ready-made gluten-free foods may also be pretty expensive! 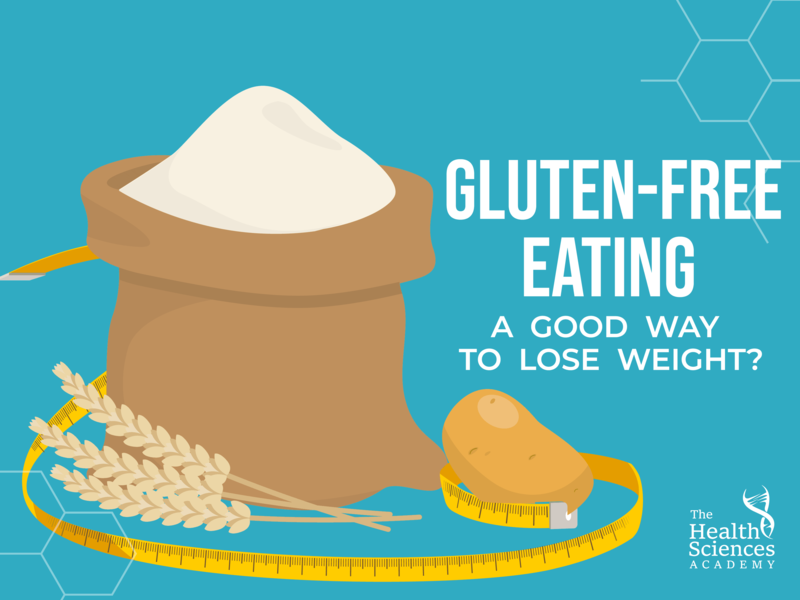 Going gluten-free doesn’t necessarily translate to weight loss! In fact, many studies have shown that it can even make you gain weight. Maximising health on a gluten-free diet relies on more than just buying foods with “gluten free” on the label!